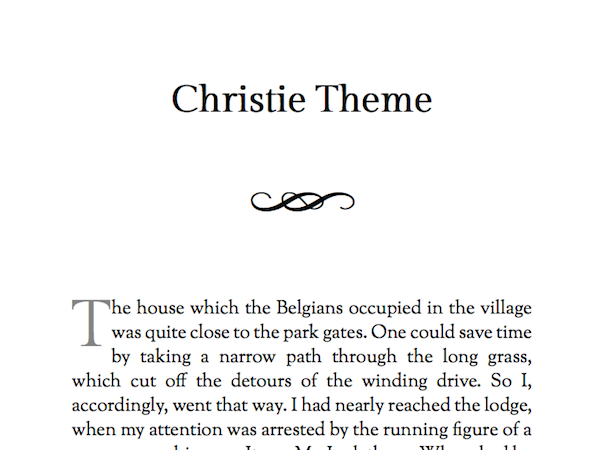 Named after Agatha Christie, this theme is perfect for mysteries, memoirs, romance. Readable fonts and some nice design flourishes after chapter titles. Note that the design flourish doesn't show up on Kindles, and some other ereaders.